Our team members and quality auditors keep regular checks on the quality of products and thus, even the raw material used is tested under vigil supervision to ensure better quality products. We are trained enough to execute the packaging of the products systematically. Thus, we follow the packaging guidelines stringently to evade damaging of the products while transportation. 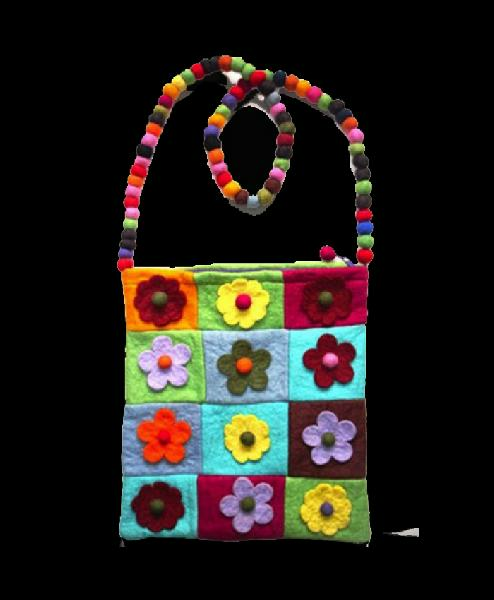 Our ravishing handbag is made from Felt fabric, which is Eco-friendly & durable and looks simply fashionable.